When last did you have an eye test? Me??? Well, if I’m honest, the answer is NEVER! Gasp! How terrible does that sound? But the thing is that it’s surprisingly easy to just continue living life thinking your eyes are perfectly fine when you can still see everything. I can still read fine print, see leaves on trees, read road signs. 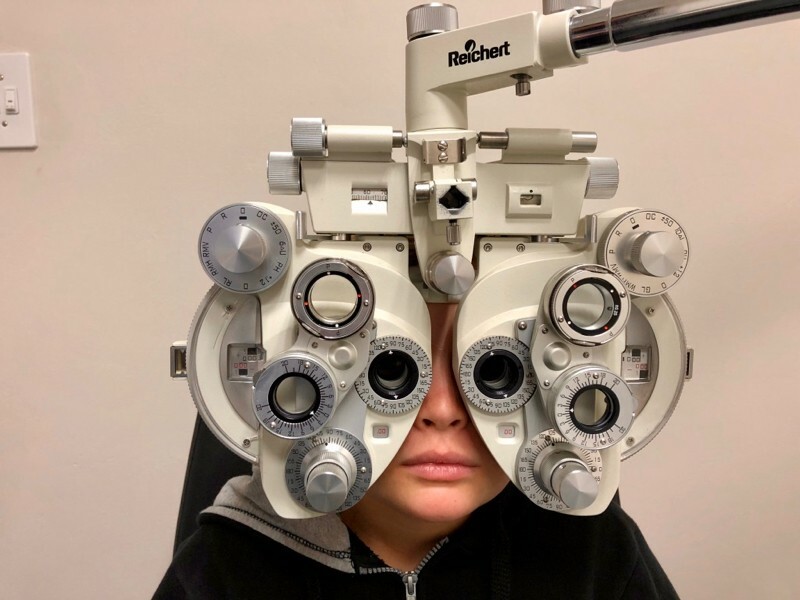 So since my vision screening test at school over 30 years ago I’ve just continued to believe that my eyes are perfectly fine and never once thought that there is more to my eyes than my sight…. 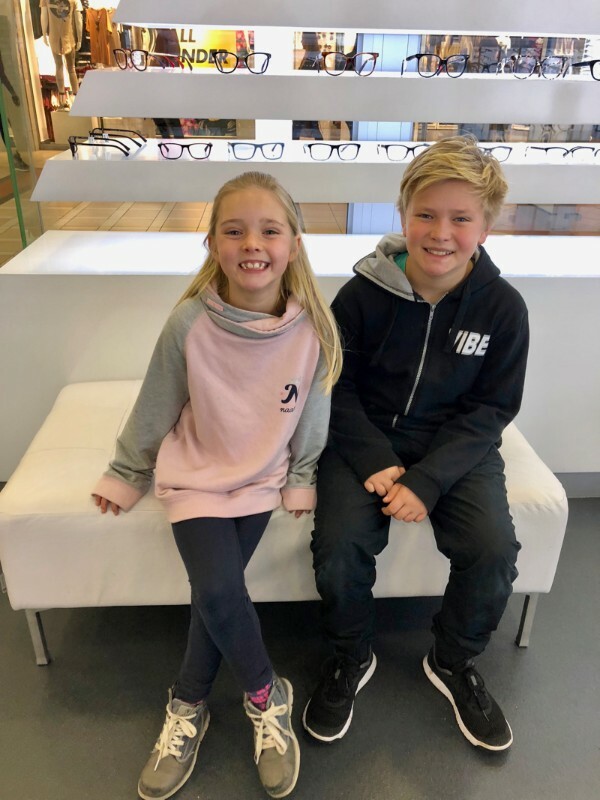 until I was approached by Mellins i-Style to pop into their branch at Somerset West and undergo a comprehensive eye sight and eye health test along with my kids. Did you know: Approximately 120 million people worldwide are experiencing low vision due to uncorrected eye problems. I, like my mom with me, had not given eye tests for my kids a second thought since their vision screening at school came back with the all clear. 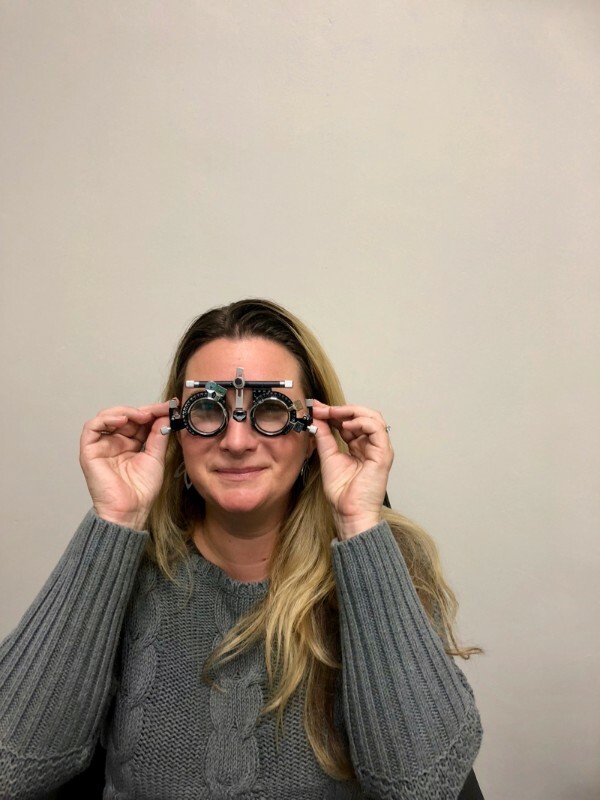 However, since my visit to Mellins i-Style I’ve now realised that eyes are much more about just sight and there are a whole lot of other reasons why regular eye tests are very important for adults AND kids. 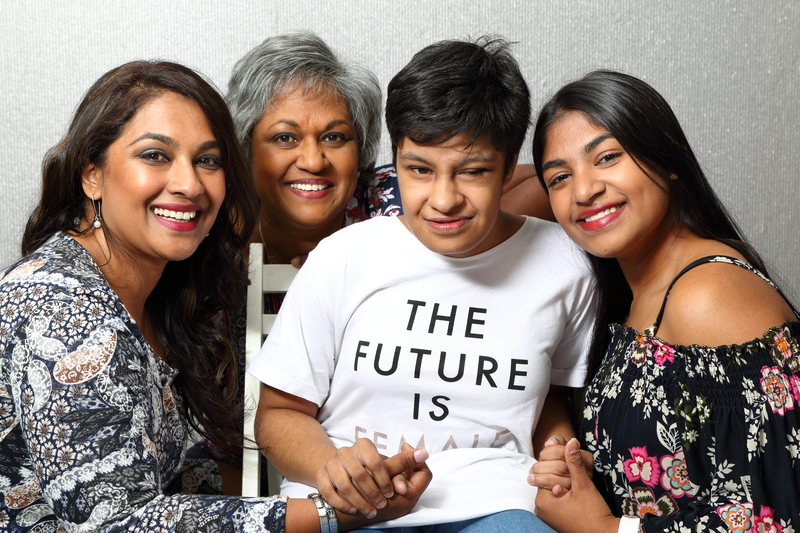 It’s common to visit your dentist, gynae and dermatologist once a year, but many people overlook their ophthalmologist when in fact this regular medical check up is equally important! Here are a few reasons why you should book yourself and your kids in for an eye test. Regular examination of your eyes by a qualified optometrist may reveal changes in vision. Regular eye tests help to monitor certain conditions of the eye. Optometrists check for eye conditions such as spots or floaters and colour deficiency (colour blindness). Many eye diseases go unnoticed for long time periods. Many of these eye health issues silently damage the optic nerve, retina, and cornea and only when they advance to moderate or late stages can they be noticeable. Unfortunately, this can cause irreversible damage, vision loss and even blindness. Identifying potential problems early can prevent irreversible eye damage. 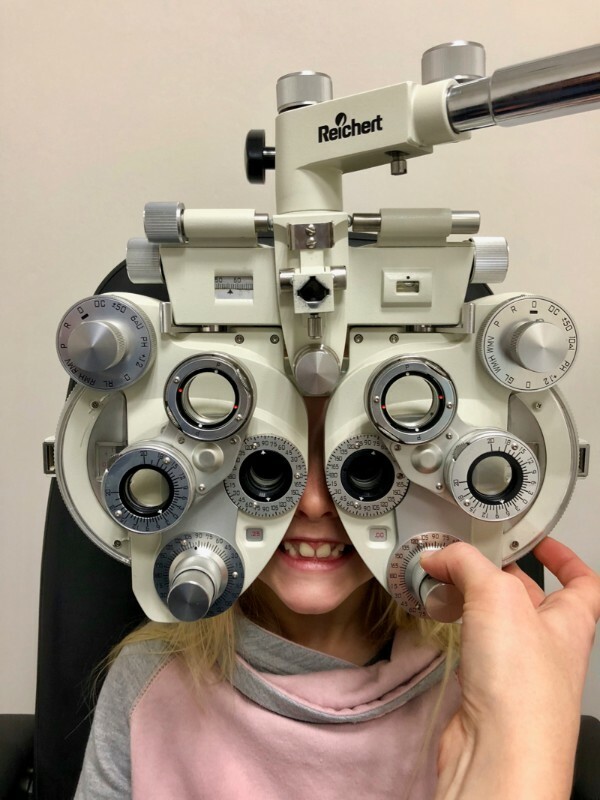 If you have a family history of eye health problems, make a habit of scheduling an exam once a year to check for any eye injuries, abnormalities and early signs of eye conditions. Glaucoma: Glaucoma is a disease caused when fluid pressure builds up inside the eyeball, damaging the retina and optic nerve (which sends visual information to the brain). Glaucoma is one of the leading causes of blindness. In a simple painless test, the optometrist puffs air against the eye and uses a tonometer to determine the internal pressure of the eye. An eye examination can reveal early signs of glaucoma. If diagnosed early enough, glaucoma can be controlled, resulting in little or no further loss of vision. If not treated, peripheral as well as central vision will be destroyed and blindness may result. Age-related macular degeneration: This eye condition can cause loss of central vision and can be detected by looking for changes to your retina during an eye examination. Some types can be slowed down with the right treatment. Cataracts: Cataracts (clouding of the eye lens) can be very small, or large, causing obvious loss of vision. They are most common in people over 55 years of age, but sometimes occur in younger people and even in babies. 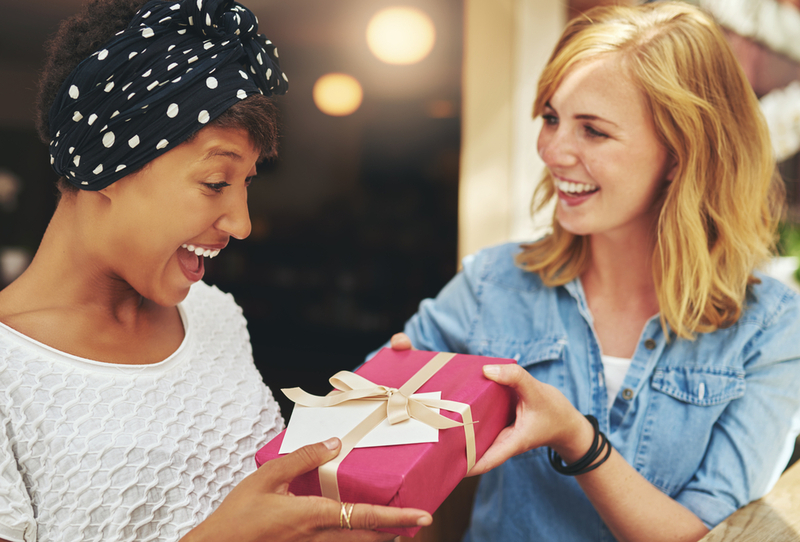 Your optometrist can make sure you are referred for treatment for your cataracts at the right time, usually when they are making day-to-day activities difficult. It may surprise you to learn that you could also be saved from serious illness by having your eyes tested more often. Eyes are sensitive indicators and show up health problems long before there are any obvious physical symptoms. Below are listed some of the chronic systemic diseases and health problems that can be identified by an eye test and treated in good time. High blood pressure: If your blood pressure is raised this may be apparent when an optometrist examines the blood vessels in the back of your eye. Diabetes: Undiagnosed diabetes can lead to sight loss. One of the first signs of this disease is erratic vision and a change in prescription. Certain changes around and inside the eye can cause an optometrist to suspect diabetes and send the patient for immediate tests. The blood vessels in the eye are very delicate and are often the first to be affected by diabetes. As these vessels can be viewed directly, your optometrist will be able to detect any diabetic related change. Cardiovascular disease: Eye examinations can pick up signs of cardiovascular disease, such as high cholesterol and high blood pressure. Treatment from your doctor can reduce the risk of stroke. Autoimmune disorders: Identifiable through inflammation of the retina. High cholesterol: Yellow rings around the cornea indicate high cholesterol. Liver disease: Causes yellowing of the eyes. Hyper-thyroidism: Causes bulging of the eyes. Tapeworms: Identifiable through an eye infection called cysticercoids. Did you know: Optometrists recommend that everyone should have their eyes tested every two years. So off we went – my kids not too thrilled about the idea of spending their Saturday afternoon doing this chore! 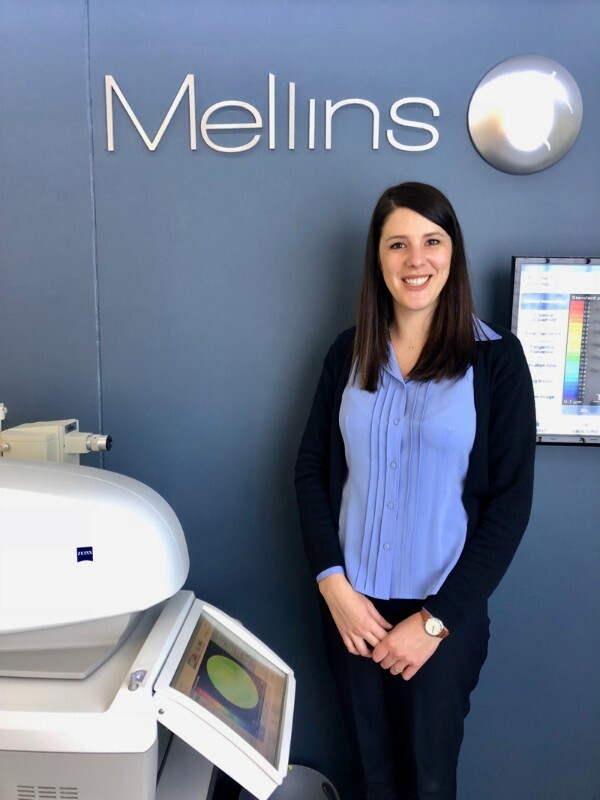 BUT once we arrived at the Somerset Mall branch of Mellins i-Style where we were welcomed by Meriek, their rather grumpy demeanour changed and they started to buy into the whole concept of using the fascinating equipment to check their eyes! 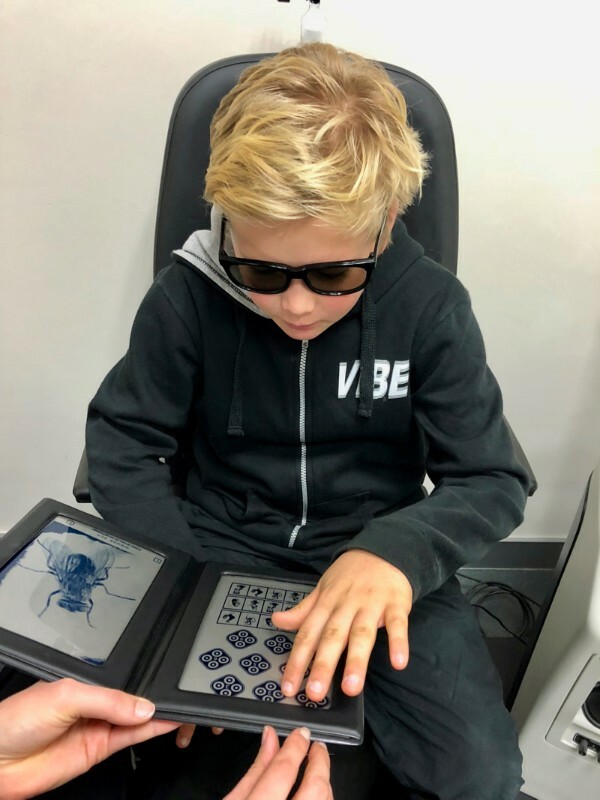 First up was Ben – who confidently stepped up to the eye test equipment first – and then had a bit of a wobble when he realised the results of this test might mean he has to wear glasses – something no 11-year-old rugby playing boy wants to hear! But he went ahead with the various tests and ultimately declared the whole experience “fun” at the end! The eye tests for the kids involved various advanced technology, none of which intimidated them at all as Meriek explained each piece of equipment and the process she would take, putting them immediately at ease. 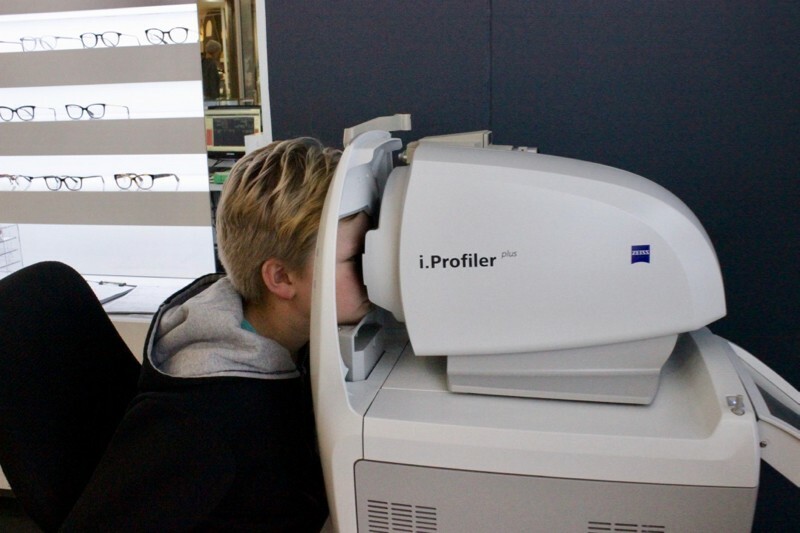 The i.Profiler® from Zeiss maps out over 2500 points on each eye in order to determine your eyes’ unique profile. 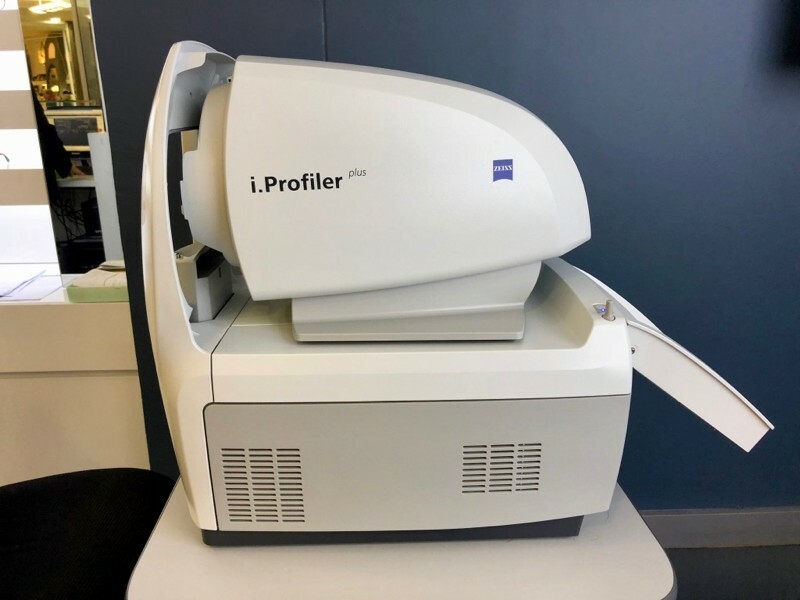 This incredibly powerful piece of equipment is able to read each eye individually to produce a unique “fingerprint” of your eyes which, in turn, will allow Mellins i-Style to produce a provisional prescription in just 60 seconds. 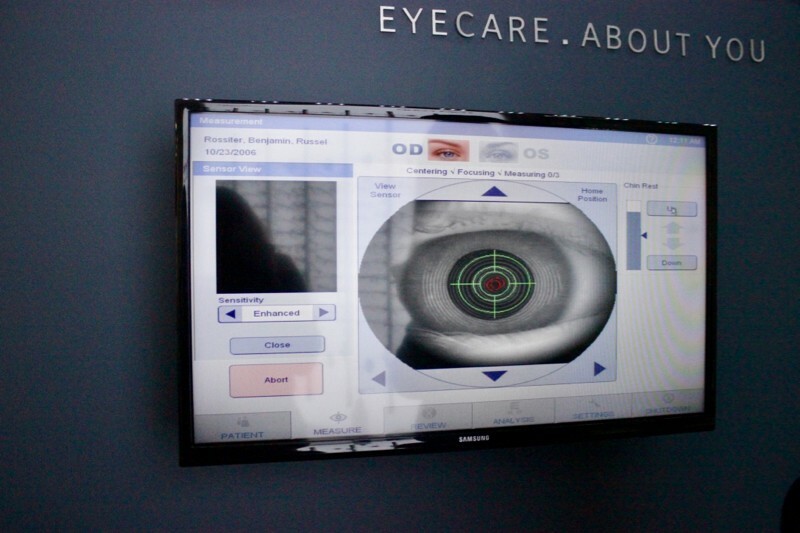 A more detailed eye examination then follows if eyesight needs to be corrected (with either spectacle or contact lenses) while the precision of this experience enables and the data produced is used by Zeiss to manufacture the most individualised lens in the world, matching your prescription up to the nearest 0.01, instead of 0.25 as in older eye tests. Ultimately offering up to 30% improvement of vision and allowing Mellins i-Style patients to fully appreciate life with their customised precision lenses that aid you to see more effectively and increase safe nighttime driving. Alongside the usual Eye Test for visual acuity, part of the 45min Eye Test at Mellins i-Style includes extra tests for Pressure, Colour Vision & Depth Perception. These extra tests checked for acceptable ranges of colour vision and depth perception for both myself and the kids, while I was tested for eye pressure which is particularly important as it helps to identify possible Glaucoma, which, left untreated may cause vision loss. 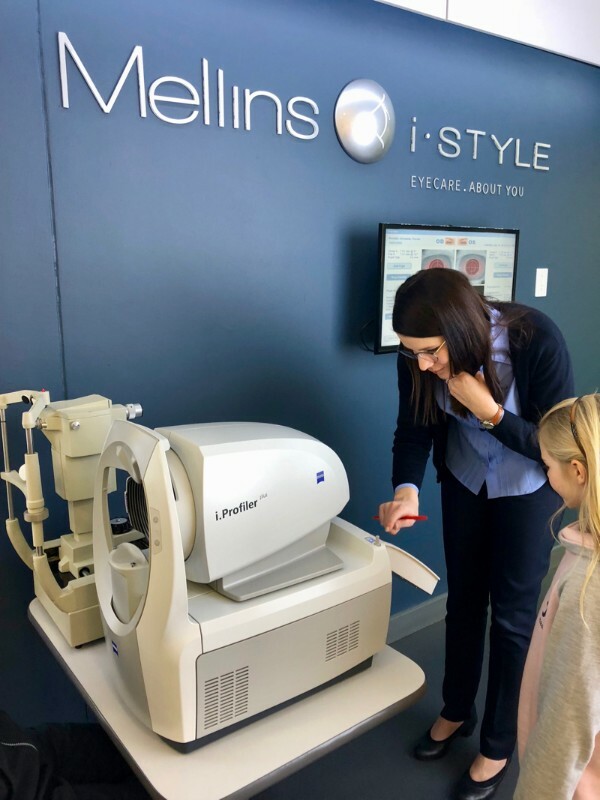 Our comprehensive Eye Tests at Mellins i-Style definitely highlighted to me how important it is to be able to see clearly, how essential it is to check that your eyes are completely healthy and to take my kids and myself for regular check-ups. Well the good news is that neither of my kids have major eye issues to concern ourselves with (yet). And we all came through with a clean bill of eye health. It did come out that my son has got astigmatism in both eyes and might need to consider glasses for the purposes of studying once he gets to high school, but ultimately I just need to monitor him and take him in for a further assessment if he starts complaining of headaches, especially during exams! My daughter had no apparent issues with her eye sight or eye health but the feedback for me was another story! Let’s just say it was high time for me to visit the Optometrist! I’ve been living with an undiagnosed astigmatism in my right eye for my whole life which has meant my brain has learnt to lean heavily on my left eye for much of my vision! The Zeiss equipment also picked up that I haven’t got very good night vision which will directly impact my driving in low light. As I mentioned earlier I didn’t think I had any eye or vision issues at all, but this eye test revealed to me a whole new way of looking at eyes (literally and figuratively!) Turns out that the vision screen I did at the Traffic Department to get my next Driver’s Licence update wasn’t very accurate and the vision screening test I took at Mellins i-Style proved this to me as I tried various lenses and realised just how “dull” the edges of the letters were when looking with my own eyes! A few lens changes and the letters were crisp and clear revealing that I do in fact need a pair of glasses, especially for computer work and night driving. Not exactly the news I was expecting, but I suppose that I’m not getting any younger and neither are my eyes…. Mellins i-Style is a forward-thinking and leading optometry group with more than 50 branches countrywide. 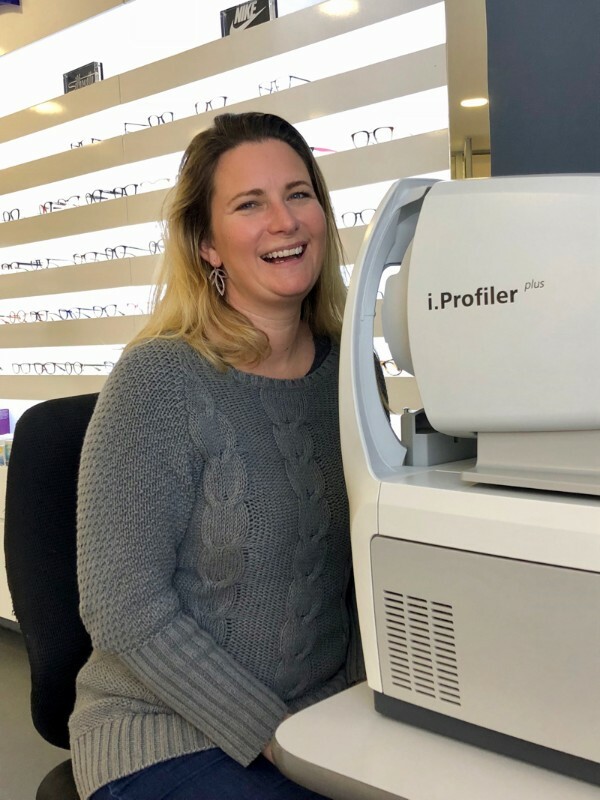 They strive to be the leaders in the field of optometry by ensuring patients receive advanced eye examinations, informative before and after-care services, and customised precision eye technology with optically advanced Zeiss products they can trust. The Mellins-Zeiss Vision Centres use equipment from Zeiss, the world’s most renowned and leading manufacturers in the field of optics. This equipment enables them to offer patients customised precision eye technology with Zeiss i.Scription lenses, arguably the best individualised lenses in the world, as well as new Zeiss DriveSafe lenses that are specifically designed to improve vehicle drivers’ vision and comfort on the road. They were the first to make this new world class eye technology accessible to South Africans. With more than 50 Vision Centres countrywide you are sure to find a Mellins i-Style branch near you. Visit their website below to find your nearest branch.